Obituary – Rigg, William Clifton “Bill” « Perry High School Alumni Association, Inc.
– 17-year-old son of Mrs. F. C. Rigg. He was born March 19, 1924, near Perry. For the past 12 years, he has attended the Perry schools. He is interested in all kids of sports. His hobby is aviation. After graduation, Bill plans to attend college and take a course in chemical engineering. William C. (Bill) Rigg passed away December 27, 2011 at home after a valiant struggle with multiple health issues over the last year. He never gave up and was a fighter to the end. Bill’s loving family was by his side through every step of his journey home. Bill is survived by his wife of 68 years, Jacque; his children Bill Jr. (wife Barbara), Emily Wilhite (husband Jim), and Susan Airington (husband Larry). Also surviving are his 9 grandchildren, Sarah Grote, Laura Franklin, Jeff Rigg, Kevin Rigg, Kim Knudsen, Steven Rigg, Megan Airington, Emily Heck, and Travis Airington and 18 great-grandchildren who knew him affectionately as Pepaw. Bill was predeceased by his parents Frank Clifton and Maude Mae Rigg. Bill was born March 19, 1924 in Perry, Oklahoma. After graduating high school there, he began his collegiate studies at North Oklahoma Junior College (now NOC) in Tonkawa. It was there that he met the love of his life, Jacqueline Sue Walton. After 2 years Bill enlisted in the Army to serve our country in World War II. Bill took flight training in Arizona, Nevada, and California, and was commissioned a 2nd Lieutenant in the Army Air Corps. Prior to being shipped overseas, Bill proposed to Jacque and she accepted. She took the train by herself to California and they were married in Carmel, California on September 11, 1943 at the Church Of The Wayfarer. It was a private wedding with the two of them, 2 witnesses, and the pastor. The pastor nearly fainted at the beginning of the ceremony and had to finish the ceremony laying down in one of the pews. Shortly after that Bill was sent to Metfield, England where he was assigned to the 491st Bomber Squadron as a co-pilot on the B-24 Liberator. He flew 30 missions over Holland, France, and Germany, and returned to the states where he was mustered out of the service at age 21. He received the Distinguished Flying Cross with Oak Leaf Cluster and the Air Medal. He truly was a member of the Greatest Generation. Upon returning to civilian life, he enrolled at Oklahoma A&M University (now OSU) and majored in Mechanical Engineering. 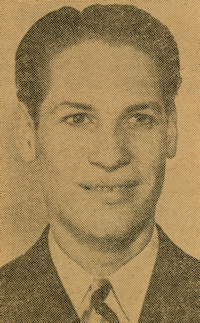 He graduated in June, 1947 with honors. He was a member of Phi Tau Sigma, Sigma Tau, and Phi Kappa Phi engineering fraternities. Bill accepted a job with Phillips Petroleum Company and worked a variety of production assignments in Odessa, TX, Carmi, IL, Hobbs, NM, Santa Barbara, CA, and Denver, CO. His titles included Production Engineer, Regional Plant Engineer, Assistant Manager, and Consultant Production Engineer. Bill was a Registered Professional Engineer in Oklahoma and was regarded as the company’s gas lift expert. He retired in Bartlesville in 1982. Family was always Bill’s number one priority but he played golf for over 65 years and loved fly fishing for trout. He served with the Boy Scouts and attended as many of his children’s and grandchildren’s events as possible. He particularly enjoyed vacationing in Colorado with the entire clan in attendance. Another passion of Bill’s was the 491st Bomber Reunion Group, of which he served as president for a year. Bill was a man of boundless energy, immense curiosity, voracious appetite, and unconditional love for his family friends. 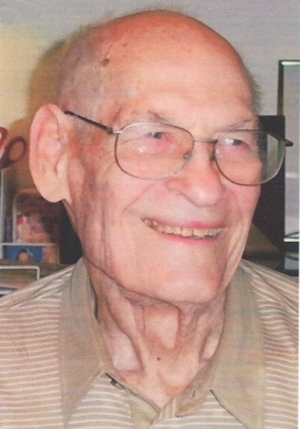 Visitation will be Friday December 30th from 6 – 8 pm at the Stumpff Funeral Home, 1600 S.E. Washington, Bartlesville. Services will be held at the First United Methodist Church (5th and Johnstone), Sneed Chapel, of Bartlesville on Saturday December 31st at 10 am with Reverend Connie Taylor officiating. In lieu of flowers, please donate to the First United Methodist Church PO Box 1136, Bartlesville 74005) or a charity of your choice.